Are hot flashes, the universal symbol of menopause, linked to genetics? A team of UCLA-led researchers may have found a clue in a first-of-its kind study: gene variants that affect a receptor in the brain that regulates estrogen release and is present across all ethnicities. It appears that women who have these variants are more likely to have hot flashes than women who lack them. The study — published today in Menopause, the peer-reviewed journal of the North American Menopause Society — is a step that could lead to new treatments to relieve the symptom. According to the study, more than 70 percent of women experience hot flashes and night sweats, which are known as menopausal vasomotor symptoms. Ethnicity has been linked to an increased risk for frequent vasomotor symptoms, as have greater body mass index, lower education level, smoking, anxiety and depression. But genetic links to these symptoms have remained unclear. The researchers performed a study that looked at common genetic variations across the entire human genome to find links between variations in genes and observable traits — in this case, hot flashes and night sweats. They examined data from 17,695 postmenopausal women ages 50 to 79 years who participated in the Women’s Health Initiative and who provided DNA samples and information about whether they had experienced hot flashes or night sweats. The researchers examined more than 11 million gene variants, called single-nucleotide polymorphisms, sampled across the entire genome. 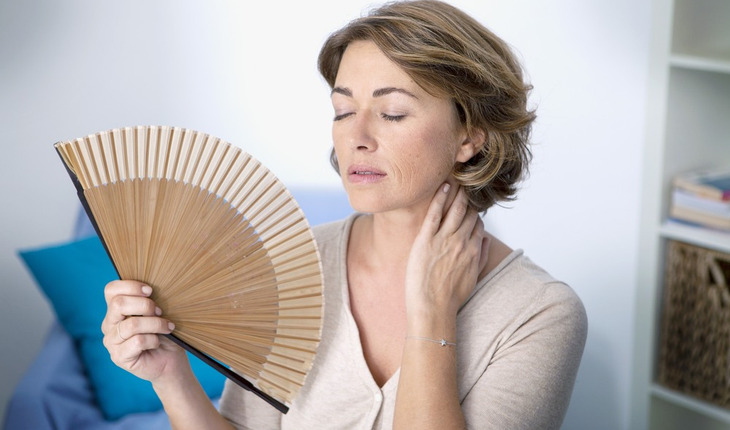 They found that 14 of the variants were associated with experiencing hot flashes. All of them were located on chromosome 4. Specifically, the gene variants are located in the part of chromosome 4 that encodes the tachykinin receptor 3. This receptor is located in the brain, where it interacts with nerve fibers that regulate estrogen hormone release. For example, women with mutations in the tachykinin receptor 3 gene are infertile. This is the first human study linking tachykinin receptor 3 gene variants with hot flashes. Crandall noted that the researchers cannot determine how environmental factors might have influenced the results. Also, they may have been unable to detect other, rare gene variants that could affect hot flashes. Because this is the first report of its kind in humans, the results should be confirmed in future studies that would help scientists better understand exactly how they may affect hot flashes. “If we can better identify what genetic variants are associated with hot flashes, this could lead to novel treatments to relieve them,” Crandall said.